Severe cuts to youth services Europe-wide have led to a reduction in the level and quality of help offered to young people at the very moment when demand for support for the complex issues faced by young people is itself increasing and diversifying. Meanwhile, the evidence suggests that young people who are left behind on the margins of ‘mainstream society’ have less belief and trust in ‘the system’ than ever before. Against this background, the COMANITY project, funded under the EU ‘Erasmus+’ programme aims to train youth workers and volunteers for a new role in youth work – the ‘Community Animateur’. What does a Community Animateur do? The Community Animateur’s role is to bridge the existing gap between young people on the margins and ‘mainstream’ institutions by acting as a ‘Social Mediator’. Community Animateurs come from the community and are trusted by their peer group. They act as a point of mediation between young people who do not trust ‘the system’ and the system itself. They work to build relationships between disconnected organisations, for example by organizing cross-sectoral, cross-agency collaboration between education and training institutions, youth organisations, local businesses and civil society actors. They design and organize innovative – and sometimes “out of the box” – initiatives to empower young people who have been left behind by the system. They build on the resources of young people and their communities to develop, in collaboration with young people, innovations aimed at solving problems in the community. To do the job of a Community Animateur effectively, youth workers and volunteers need new ways of thinking, new ways of working and new skills. To support this, COMANITY has developed a Community Animateur Competence Framework. This defines a ‘skills set’ for Community Animateurs, and describes all of the competences that are needed to perform the role. This framework draws on the results of research including ‘on the ground’ work with young people to capture their ‘lived experience’; a needs analysis of youth workers and volunteers; a review of good practices in support services for ‘marginalised’ young people, and a review of competence frameworks in relevant fields. The Framework – illustrated below – has three competence domains, 13 competence areas and 49 competences in total. Domain A – ‘Enabling Emotional Intelligence’ – describes the core emotional intelligence competences (or emotional capabilities) required by Community Animateurs. 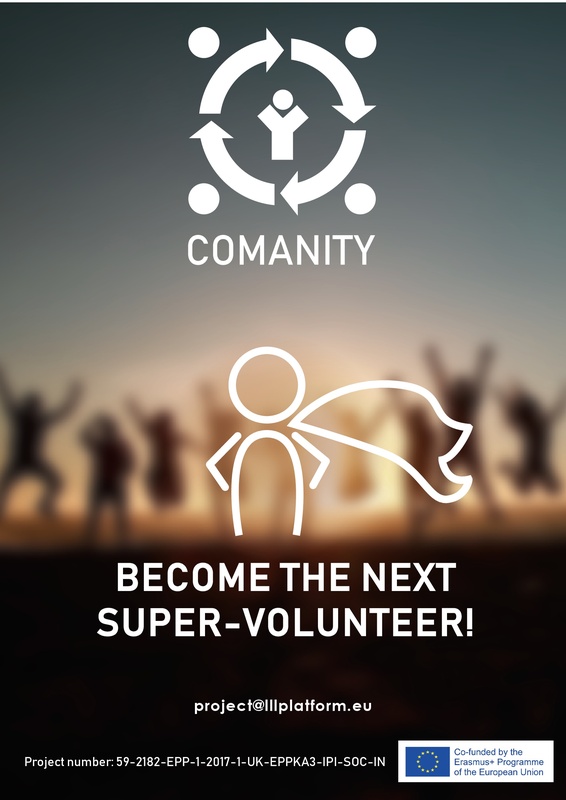 Domain B – ‘Community Animateur specific Competences’ – is comprised of youth worker and volunteer competences adapted specifically to the Community Animateur role. The Community Animateur Competence Framework provides a ‘map’ for youth workers, volunteers and youth organisations to navigate their way through the complex terrain of young people’s ‘lifeworlds’. It provides them with a Manual to identify which skills they need to use to work with young people ‘on the margins’ and how they can be applied. The Framework links to an on-line ‘self-assessment tool‘ developed by COMANITY. The tool helps youth workers and volunteers to explore their competence levels in the three Community Animateur’s Competence Domains. The tool uses multi-media to explain all of the competences in the framework and provides an assessment instrument in ‘quiz’ format to help youth workers and volunteers find out which Community Animateur competences they are good at and which could be improved. The self-assessment tool in turn is linked to the project Community Animateur Training Programme. This combines self-directed learning with collaborative learning methods (in online groups and with the COMANITY team) to help youth workers and volunteers to generate their own learning content, using their practice experiences; share their experiences and learning; apply it in practice, and assess their progress. The structure and content of the Training Programme is fully aligned with the Competence Framework. The Competence Framework and self-assessment tool are currently being validated with small groups of youth workers and volunteers. Following the launch of the Community Animateur Training Programme at the beginning of 2019, youth workers and volunteers will use the framework and self-assessment tool to explore their competences and learning needs. 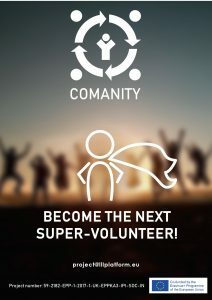 COMANITY will collect data on programme participants’ competence levels at the start and end of the programme, so the contribution of the framework and training programme to improving youth worker and volunteer competences can be assessed. If the results of the evaluation are positive, the plan is to roll out the framework, self-assessment tool and training programme to a wider audience towards the end of the COMANITY project.